Additionally, we regrind and refurbish every type of plate mill knife. Your knives, knife cassettes and scrap choppers, mounted in drums or dismounted, may be returned to our facility for expert reconditioning to original specifications. We customize reconditioning programs to support every mill operator’s demands. 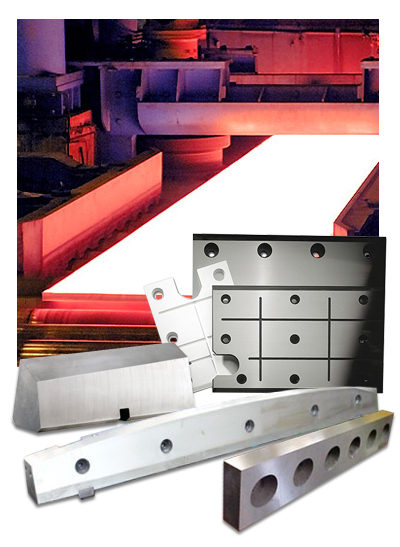 To match every technical requirement and budget, liners and wear plates are available in compound (clad) steel, solid alloy tool steel, and solid surface hardened steel. ASKO also offers plate mill levelling rolls, back-up rolls, and bearings through its partner BSA S.R.L. and furnace rolls through its partner FAI-FTC.